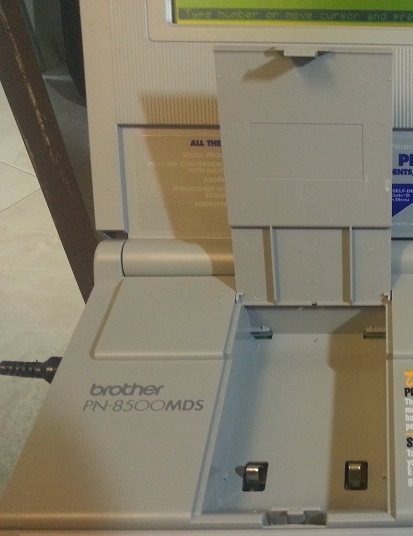 In my recent eBay adventure I purchased a Brother Super PowerNote PN-8500MDSe vintage word processor from a local seller. 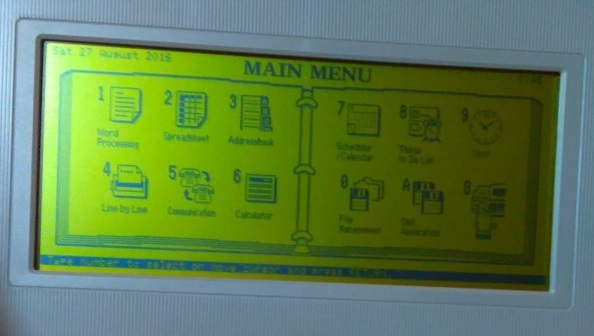 The machine is powered by a Z80 processor and supports basic word processing, spreadsheet data entries as well as going online (perhaps not in the modern context of the Internet, but by using an old bulletin board system) through an optional dialup modem. To quit most applications, press the CANCEL button at the bottom row of the keyboard. If that doesn’t work, hold down the CODE key and press the MENU/FILE button, and you will be prompted to save any pending changes before quitting. Only transmission speeds up to 9600bps are supported if a serial printer is selected. Most likely only text output will be supported in the custom printer configuration. 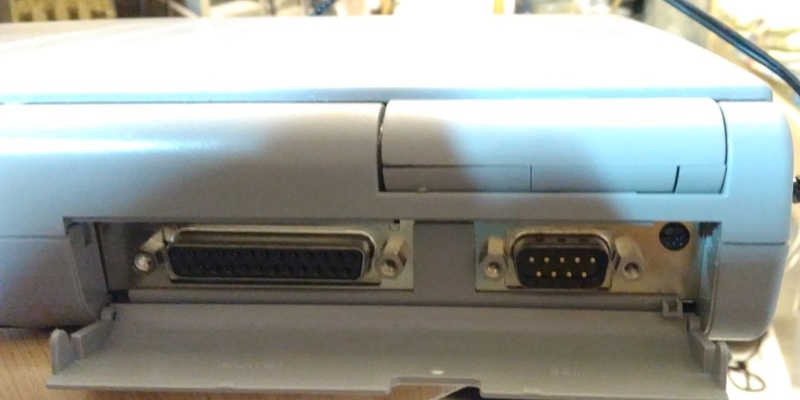 I am not sure where to find working serial printers, or even working parallel port printers supported by this machine, in this day and age of USB and wireless printers. Interestingly, although it says “Press Ctrl-C to quit”, during my experiment, Ctrl-C does not work and will simply print the heart symbol (ASCII code 3 for ETX, which represents the end-of-text character generated by Ctrl-C). This may have been a bug, or something that was overlooked during the development of this tool. Anyway, not that I am going to use the conversion tool with Lotus 1-2-3 any time soon, so it is not a problem for me. My next challenge would be to install a custom OS on this machine, for example CP/M. I have read somewhere that it is possible since the processor is a Z80 that can run CP/M. I am still in the process of finding out more information on this. If you have any ideas, feel free to leave a suggestion here and I will be happy to try it out. Hey! I realize this is a few years old but I just happened across it. I have several PowerNotes (various models) and use one as my primary writing machine. They’re great for distraction-free work. My main one – the one that’s hooked up on my desk, with connection to a printer and a serial connection straight to my Windows/Linux dual-boot machine – is the same one I got new for Christmas in (I think) 98 or 99. I used it exclusively one semester in college when my 486 died and I didn’t have the funds to replace or repair it. It got me through! Anyhow, as this is an older post I was curious if you’d done anything else with yours. I don’t suspect you would have had much luck getting CP/M on it since in my experience the machines are pretty seriously locked down. What I would love to figure out is the process involved to compile those *.apl files (Tetris and Turnabout). I don’t think Brother ever released an SDK for these machines and in-house support never moved beyond those two games. It’s frustrating since it’s clear they *can* do more, but there’s no easy way for even a power user to make that happen. I’ve hoped for years that somebody more knowledgeable than me might attempt to reverse-engineer the apl format, but it hasn’t happened yet. I’ve managed to make mine ‘seem’ to do more by using the COMM program as a dumb terminal to my Linux laptop. 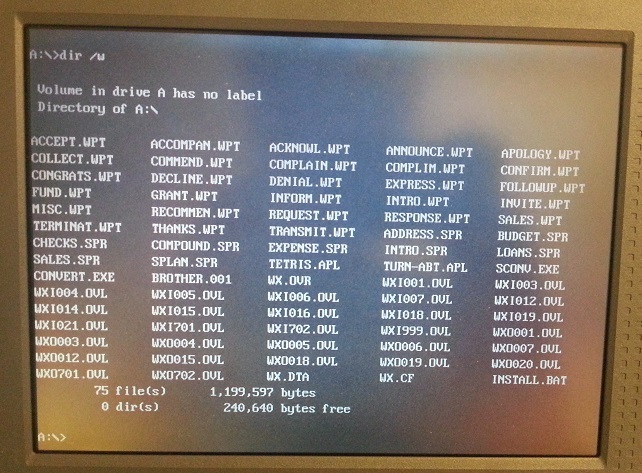 For the most part if there’s something that will run at the command line in Linux in a text-only environment, these machines can handle the display. It’s fun (if not practical) to use Lynx for instance to look up stuff on the web while I’m writing. I occasionally use Pine to check my email with it. Anyhow, nice blog and like I said, just wanted to ask about an update. Thanks a lot for your comment. Great to hear that you’re still finding good use for the PowerNote nowadays! Yes, the built in terminal app is very useful to telnet to a modern Linux terminal and allows you to do a lot of things that would not have been possible on an original PowerNote. I also love black and white displays – they’re great for you to just focus on work without any distractions such as Internet, Facebook or youtube. I bought the device in early 2016 and the article was written around June that year. After writing the article, I studied the APL file format in details and did come up with some useful information. I summarized them below for the benefits of those who might be interested. There is nothing special about the APL file format. It just contains compiled Z80 instructions (64180 to be exact) with some header bytes added by Brother to identify the file. The file begins with a sequence of hex bytes 85C1010200004252 where 85 is likely from 8500 (the model number) and 4252 is ASCII codes for BR (short for Brother). Application code starts at 0x0008 with a jump or a call to the application entry point (8a6ah for TETRIS, 8d14h for TURN-ABT). I am not sure how the entry points are defined in the APL. Using dZ80 disassembler on the APL files, I was able to identify the main method for each of the APL, which starts immediately after 0x0008 in the APL file. This method contains a lot of CALL/JUMP instructions to invoke other assembly procedures, followed by conditional jumps such as JR to check for the return value. The identified assembly procedures also contain matching PUSH/POP statements and end with RET, which means that the disassembled assembly code is making sense. The data segments are stored towards the end of the file. For TETRIS, it starts at around 0x256c with the definition of the various Tetris shapes, followed by recognizable text (TETRIS, COL, KB, 1987, etc.). For TURN-ABT, this segment starts at 0x0eee with the game title string definition (TURNABOUT GAME). Although dZ80 disassembler does not recognize the data segment, I was able to make sense of it by looking at the raw binary data and analyzing the disassembled code. The data segment usually appears as a bunch of instructions that do not seem to do anything after the end of the various useful assembly procedures, identified by POP, RET statements or similar. Part of the architecture of the PowerNotes can also be deduced by looking at the disassembly. For example, OUT/IN instructions for addresses 0b8h, 0b0h, 0f0h, 16h and 70-75h can be found in various places. This could be for writing to the screen or reading keyboard input. I did not have time to figure this out, but perhaps it’s possible to understand them in more details with the help of IDA Disassembler. In the end using this knowledge, I was able to create an APL file that cleared the screen and printed “Hello World” when executed. And that’s about the extent of what my APL was able to do! As for running CP/M on this machine, I tried to open the machine up and although I was able to dump the ROM and identify some text strings, finding the correct format for the ROM file and replacing it with CP/M sounded like a tall order to me, so I didn’t proceed further. The PowerNote ROM size of 64KB will also mean that your compiled CP/M will need to be pretty small for it to fit. Another more feasible way is to create a floppy disk that contains an APL which works as a bootstrapper. When executed, this APL file would clear the screen, and attempt to boot CP/M OS stored on the same disk. 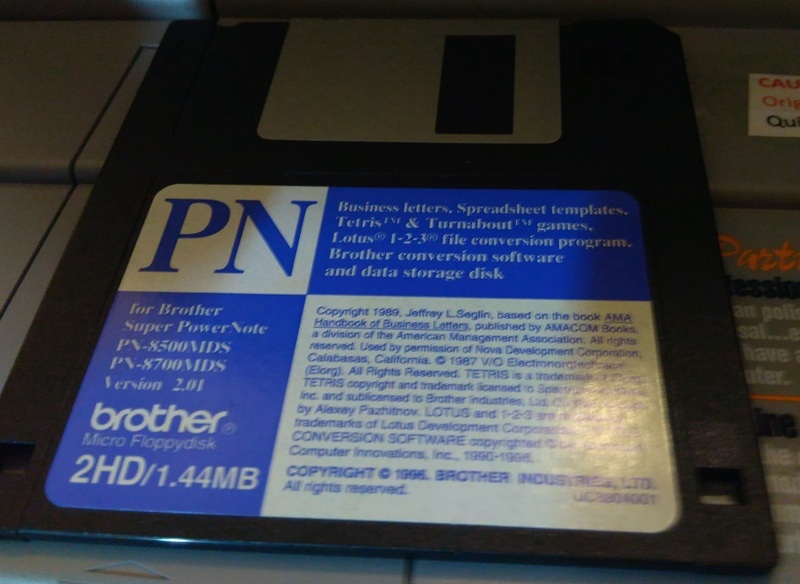 A challenge with this is that Brother only accepts APL files stored on 1.44MB DOS FAT12 floppy disk, which might not be readable by many old variants of CP/M. Or maybe we’ll need 2 floppy disks, a 1.44MB disk just for the CP/M APL bootstrapper, and another in a CP/M compatible format which contains CP/M itself. Maybe someone with enough time can try this method. As for the fate of the unit, I sold it to a Z80 hobbyist at the end of 2016 in an attempt to scale down my vintage computer collection. So at the moment I am not able to experiment any of the above idea further. If you can try them on your PowerNote, let me know. I’d love to see CP/M running on this machine! Well, you’re certainly much farther along than I ever made it! I like your proof-of-concept ‘Hello world’ APL. Unfortunately I don’t think the PowerNote series ever developed enough of a user base to encourage many others to attempt such projects. Hopefully someone (much better-versed in assembly than me) will come across this post and your comment and take up the cause. I’d be happy if there was just a way to bootstrap BASIC into it with the capability to read and write to the disk drive. 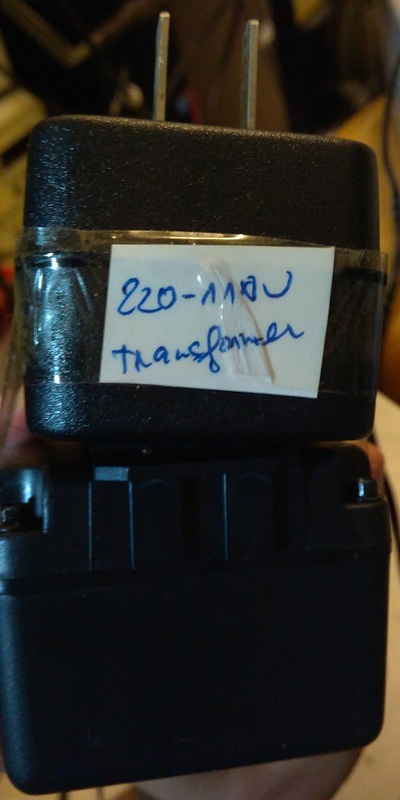 Found this thread via a search for details on how to transfer and convert my old gray Brother PN4400’s text files into something my Linux box can read, so I can edit them again. I discovered long ago that a Windows box wouldn’t read them, never bothered to try my Linux boxes though, since by then I’d figured out it used a proprietary file system. I got quite ill in ’92 and I’m finally able to deal with this, I’d really like to get some of my writings back if possible. Haven’t found anything I can do, so far, but I have poor search foo, due to a brain injury, but this conversation is at least quite interesting, even if a lot of it is beyond my knowledge base. I also have the white larger screen version PowerNote, I found it at a yard sale in the early 90’s, but I never used it. It was a great affordable device for anyone who wrote I took it everywhere and I also had a tiny battery powered 12V printer, so I was able to print out documents in wilderness campsites, that was quite impressive for the time! On the other end of the spectrum of small “computers”, I recently got a GPD Pocket Laptop, but am having a devil of a time trying to get Linux or BSD on it, the bios appears to be locked down or something, grrrrr. 1) It’s possible to run the conversion program under DOSBox, if you’re familiar with that Linux app. That’s how I use it. You’d need some way to get the WPT files from your Brother to the Linux machine, though. I use a USB floppy for my setup at home. It’s a little convoluted (you have to ‘mount’ the floppy drive from within DOSBox in order to read the disk) but it works. 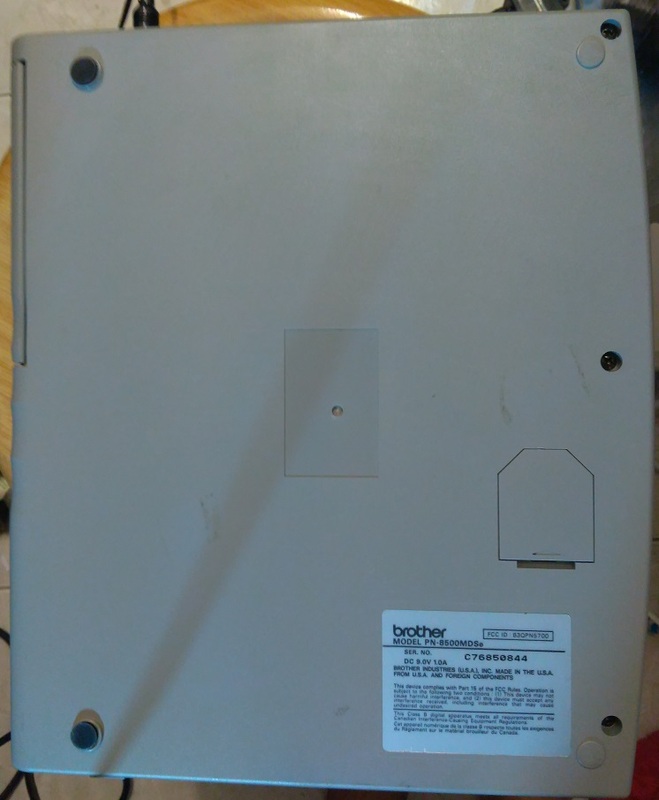 If you don’t have a floppy drive like that but you still have your Brother, you can transfer the files from the Brother to Linux using a null modem cable and some sort of terminal comm program on the Linux side. That has an added benefit, actually, since you can just ‘receive’ the file on the Linux side as straight text and you can skip the conversion step altogether if that’s all you want. 2) I’m not 100% sure about the 4400 but some of the PowerNotes had the ability to save as TXT files from the machine itself. That might be an option if (again) you have a working machine. I seem to recall you could only do one file at a time that way. 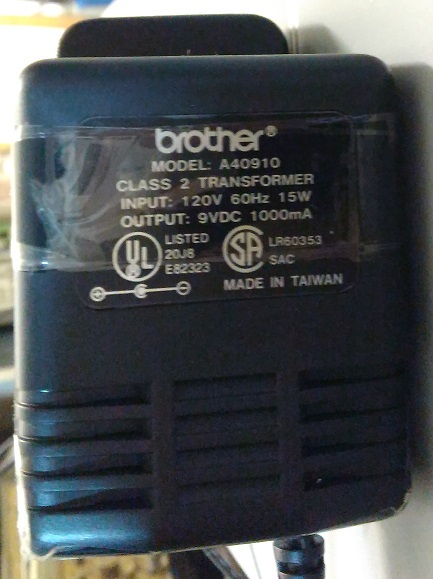 I looked in the manual for the 4400 (online at https://www.manualslib.com/manual/443621/Brother-Pn-4400.html) but I don’t see that feature mentioned unless I’m just overlooking it. 3) I’m a fellow writer and fellow PowerNote enthusiast, and I’ve already got the conversion software set up and use it pretty regularly. If you want and are comfortable doing so, you can zip up all the WPT files you need converted and email them to me and I’d be happy to run them through the converter to whatever format you need and send them back. My email is rogermullins (dot) writer (at) gmail. First, Thanks to ToughDev for posting this great bio of the Brother Netbooks, I used mine daily for some years and it never let me down. Thanks Roger, I shouldn’t need the disk zip, I still have the box, docs and floppy from when I purchased my PN4400 new. I’ll try using my null modem cable to one of my Linux boxes and see how that goes. Now all I have to do is find them in storage. Are these things worth any serious money, I keep looking at the empty battery tray and seeing a Raspberry Pi in there and a similar sized touch screen, it would be a pretty cool retro-modern box. Honestly I would say no. They’re on the rare side, just because they never really took off in the market, but they’re also not terribly sought-after. I have ebay alerts set up so that I know whenever one gets listed and they usually go fairly cheap. I haven’t paid more than $15-$20 for one, and I’ve got six or seven now and a couple more for parts. I like your idea. Off the top of my head I think mapping the keyboard might be the hardest part, but with enough trial and error it would probably work. You wouldn’t have to give up your battery compartment either, if you don’t want to – there’s enough room inside the case for a Pi. 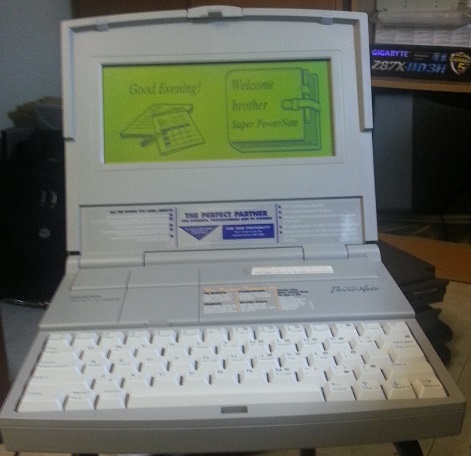 The later models (the PN-8xxx series) had an optional Franklin Bookman card reader, and if you get one that doesn’t have that built in the whole front right corner under the keyboard/in front of the disk drive is open space. On the other hand if you know you’re not going to be using the battery compartment it’d be handy to have that sort of access to the Pi. I have quite a few batteries but as could be expected after 20 years they’re getting to where they don’t hold a charge very long. You can still get new old stock but those don’t hold up much better. I’d be interested to see any build you come up with!